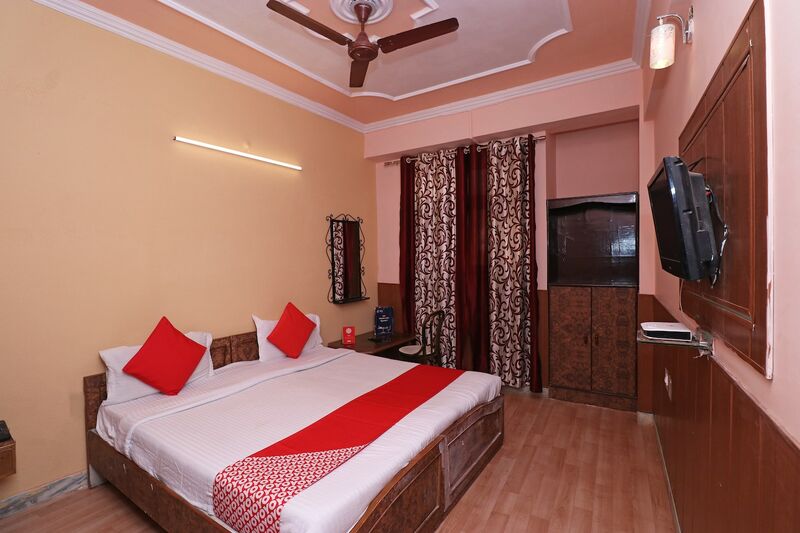 Located in Hussain Ganj, Lucknow, Hotel Kamal is very close to Charbagh Railway Station and a few minutes walk from Hussain Ganj Bus stop. The hotel offers simple and clean rooms that are done in basic colours. There is storage facility in each room along with comfortable beds and attached clean bathrooms. Located in a busy area, the hotel is a good budget stay option. The hotel offers television, free Wi-Fi, CCTV cameras, card payment options. The property is in close proximity to the Lucknow Railway station, Sahara Shopping Centre. Popular restaurants like Ratti Lals and The Mughal Dastarkhan are located nearby.